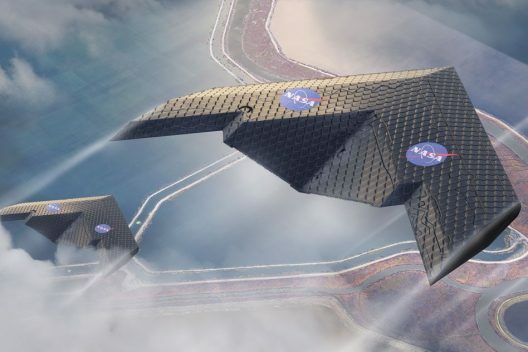 MIT and NASA have constructed several aircraft wings using tiny, identical pieces bolted together in a highly flexible, deform-able structure. 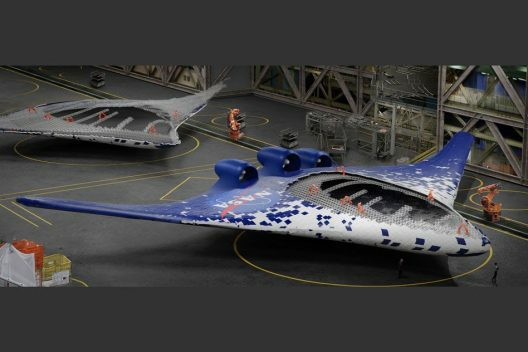 At that, the wing is light, strong, and capable of “morphing” in ways that enable slower landing speeds, faster rates of climb, and high maneuverability. This type of assembly is much like fractals, repeated forms that assemble into larger forms that become enlarged examples of the smaller ones. These forms are part of the natural world, so the mimicry in the morphing wing can very mach be said to be an organic design. 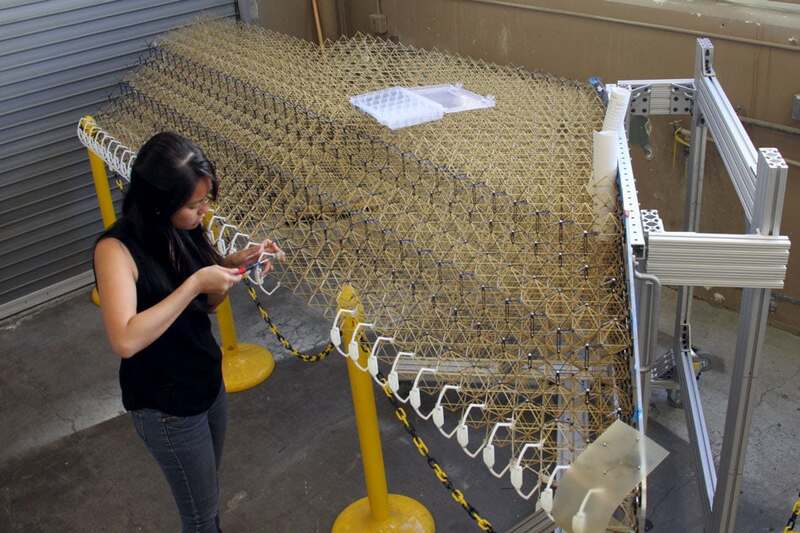 The tiny pieces comprise thousands of miniature triangles “matchstick-like struts,” according to David L. Chandler at the MIT News Office. The tiny subassemblies were bolted together by hand to form a lattice-like framework, and are then covered with a thin polymer film of the same material as the framework. Future plans call for robot assembly to speed up construction. Besides offering greater flexibility in the manufacturing of future aircraft, this construction technique could find favor with architects and others needing lightweight, strong buildings. Benjamin JenettEli GershenfeldKenneth CheungMIT’s Center for Bits and Atomsmorphing structuresNASA Ames Research CenterNicholas CramerSierpinski fractal.